This website contains information and news on my research, new publications and lectures, events, successful BA and MA theses, PhD projects, and job ads. Students can also find useful information for their coursework (in German only). This entry was posted in General on November 24th, 2016 by Steffen Höder. Constructions in Contact. 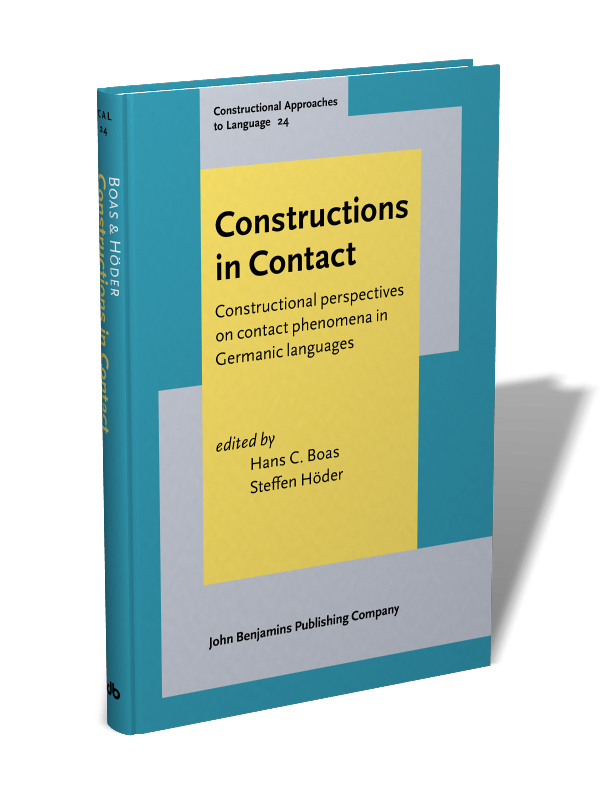 Constructional perspectives on contact phenomena in Germanic languages (edited by Hans Boas and myself) is available as an e-book; the print version is expected in December 2018. This edited volume brings together contributions from scholars working on different language contact situations that involve Germanic languages. It also contains a new theoretical article on Diasystematic Construction Grammar. Boas, Hans & Steffen Höder (Hgg.). 2018. Constructions in contact. Constructional perspectives on contact phenomena in Germanic languages (Constructional Approaches to Language 24). Amsterdam/Philadelphia: Benjamins. The last three decades have seen the emergence of Construction Grammar as a major research paradigm in linguistics. At the same time, very few researchers have taken a constructionist perspective on language contact phenomena. This volume brings together, for the first time, a broad range of original contributions providing insights into language contact phenomena from a constructionist perspective. Focusing primarily on Germanic languages, the papers in this volume demonstrate how the notion of construction can be fruitfully applied to investigate how a range of different language contact phenomena can be systematically analyzed from the perspectives of both form and meaning. This entry was posted in research and tagged Construction Grammar, DCxG, language contact on November 30th, 2018 by Steffen Höder. Which perspectives on L2 pronunciation, including the use of listener ratings, are being discussed in current studies? Which fundamental implications for teaching purposes can be drawn from recent L2 pronunciation studies? How can different dimensions of pronunciation (especially acceptability) be defined and measured? How can the mutual influence of different dimensions be measured, e.g. the influence of accent on acceptability? What do teachers need to know? What should we teach teachers? Which aspects of L2 pronunciation in general and which language-specific phenomena in particular should be part of teacher education? See the call for papers for a more detailed description. 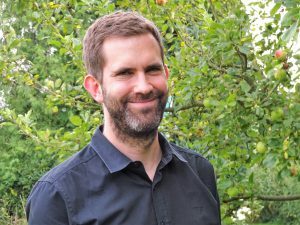 This entry was posted in event, lectures, research and tagged Danish, dans, foreign language teaching, L2 acquisition, phonetics, pronunciation, sociolinguistics on October 8th, 2018 by Steffen Höder.